Period residence, dating back to 1300, whose historical testimony is narrated by famous Florentine families, Friars who spent part of their lives there leaving traces and recognitions of their stay. Villa il Sasso, now owned by the Concilio Family, has been transformed from a family residence which was, into a luxury residence for Leisure and Business Travel, Relax stays and small business meetings. The structure has deliberately maintained the intimacy of a home with a careful and meticulous research into details, which gives the customer a taste of past emotions and assists them with care and discretion throughout their stay, to make them relive the comfort of their own home. Specifically, Relais Villa il Sasso offers bright and spacious Elegance and Deluxe rooms, each furnished differently with the typical characteristics of the Tuscan land, from the original terracotta to a breathtaking view, frescoes, fireplaces and antiques that furnish and heat the atmosphere, not forgetting every comfort that modern life requires; intimate and pleasant common areas such as the hall and the breakfast room where a rich buffet is set up in the morning and, at the request of the customer, small lunch kitchen and aperitifs served at the sunset pool, pampered by a background melody, the winter garden where you can relax read a book, watch TV, the terrace on the hills where you can sip a good glass of Chianti by candlelight. Ci siamo stati solo per una notte, ma siamo veramente stati colpiti dalla bellezza della struttura e dal comfort della camera. Ambiente molto pulito e tranquillo, personale disponibile e molto gentile. Posto incantevole alle porte di Firenze, stanze molto belle ben organizzate e confortevoli, personale cortese e disponibile… Location veramente superlativa ci ritorneremo senz’altro al piÃ¹ presto. Rien… vraiment rien… Je croix que c’est la premiÃ¨re fois que cela arrive! Tout… vraiment tout… De l’accueil enthousiaste du maÃ®tre de maison… Ã la qualitÃ© extraordinaire de la literie… Ã la dÃ©coration soignÃ©e… Ã la propretÃ© des lieux… au petit dÃ©jeuner copieux et variÃ©… Pas une seule remarque dÃ©sobligeante Ã formuler… Je croix que c’est la premiÃ¨re fois que cela arrive! Une belle maison tenue de la plus belle maniÃ¨re qui soit! A conseiller sans Ã©tat d’Ã¢me! Non c’Ã¨ veramente niente da dire. Dal personale, all’ambiente la colazione…tutto completamente perfetto. Non vedo l’ora di tornare quando sarÃ piÃ¹ caldo per vodermi in pieno relax la piscina e quella esterna idromassaggio. Complimenti! Ho avuto la fortuna ed il piacere di pernottare presso questa splendida struttura grazie al suggerimento di un collega, per un viaggio di lavoro. Il Relais Villa Il Sasso Ã¨ realmente una meravigliosa residenza d’epoca immersa nel verde e nella tranquillitÃ delle verdi colline toscane, a pochi km dal centro di Firenze. L’ospitalitÃ Ã¨ davvero degna dello stile della struttura. Le camere sono molto ampie e curate nei minimi dettagli, con oggetti di antiquariato ed altri elementi che rendono unica questa location. The location and quality of this hotel was tranquil and peaceful away from the buzz of the city. 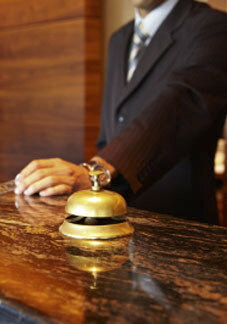 The staff very attentive and helpful and their service was excellent. Elegant and very well maintained. Ho pernottato al Relais Villa il Sasso su consiglio di un collega che me l’ha descritto come un posto stupendo… dopo esserci stato, non posso che concordare. Il personale Ã¨ stato sempre gentilissimo e la camera che mi Ã¨ stata assegnata era spaziosa, pulitissima e.. meravigliosa. Non posso che consigliare questa struttura, magari a chi, diversamente da me, Ã¨ interessato a un luogo di vacanza.